Enhance your skin through our Microdermabrasion spa service treatments at Séchoir. Reduce the appearance of fine lines and wrinkles, acne scars, and the harmful effects of sun damage through skin resurfacing and gentle exfoliation. Clear, radiant, and smooth skin await you. 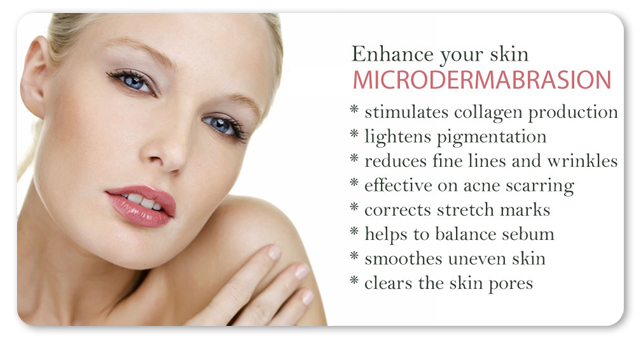 Improve the health of your skin with Microdermabrasion. Through skin resurfacing and gentle exfoliation, this spa service treats fine lines and wrinkles, sun damage, acne scars, and hyper-pigmentation. Microdermabrasion technology, will improve skin texture and radiance while revealing clear, glowing, smooth skin. The best, most effective results can be achieved by purchasing a package that includes a series of 5 treatments.